On the Wing – 2017-18 Haven Season Launch! Is it a bird? Is it a plane? No – it’s the Stroll’s new season swooping in! Whatever branch of poetry you like to nest on—whether you’re a fledgling or a super-power poet—you’ll find a friendly community and birds of a feather at the Monday-evening Haven reading series. See you at the arrivals gate! 2017-18 Haven sign up open! The 2017-2018 Haven series is just around the corner! 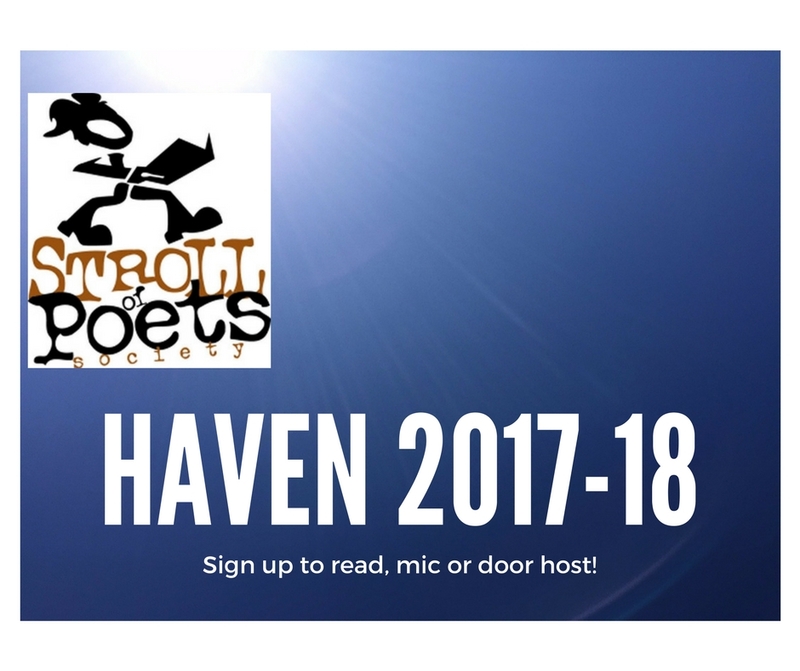 The Haven sign up page is open to schedule your ten minute reading or volunteer as a mic or door host. All Stroll members are entitled to a ten minute reading. The reading spots fill quickly so don’t delay. Want to be a member or need to renew your membership? Learn more here. 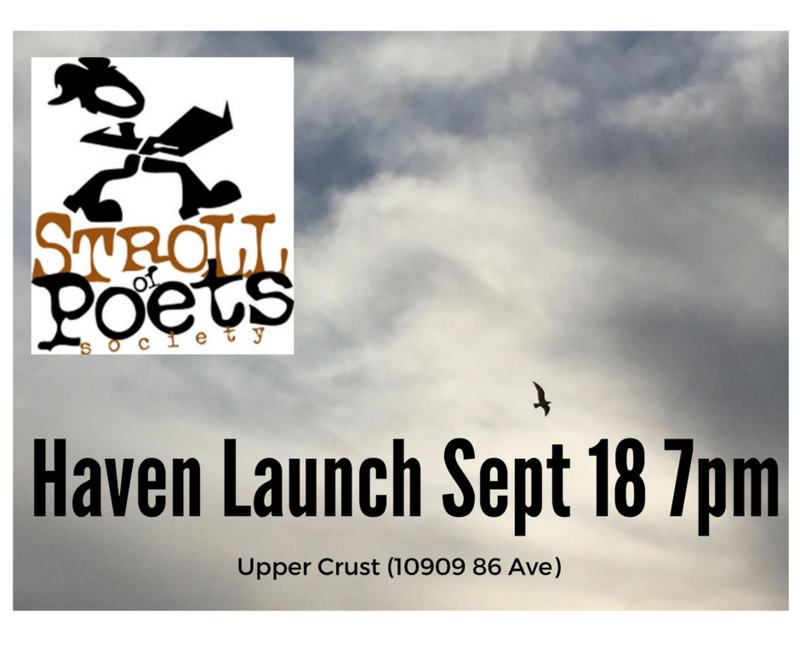 The Haven begins Monday, September 18th at 7:00 pm at the Upper Crust Cafe (10909 86 Ave). The Stroll of Poets—always searching for the new, the now, the novel—is ears wide open for the youthful voices of our up and coming poets. 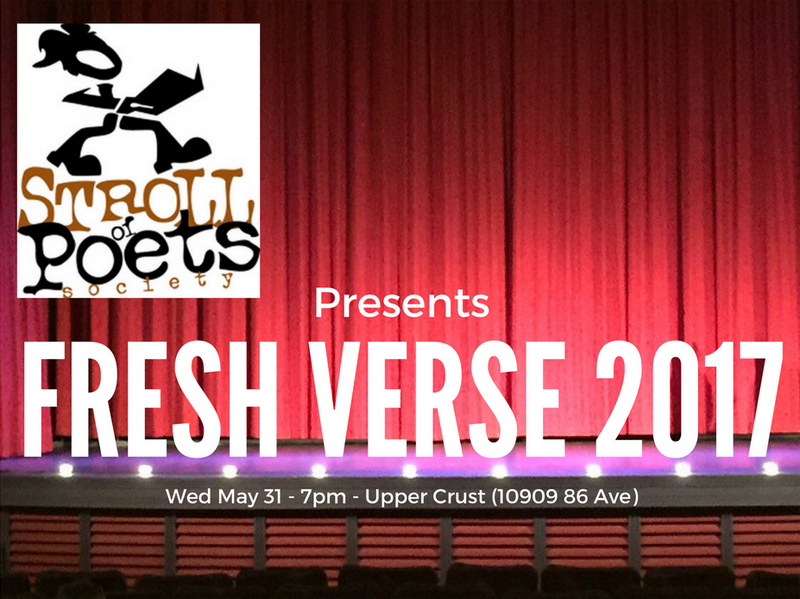 You’re invited to our fifth Fresh Verse that will again profile poets under the age of 25. We’re excited to feature 8 poets who will each have a five minute reading. We’ll also have a two minute open mic. All members and friends are welcome. Following our Season of Silver celebrating 25 years, the Stroll’s looking forward to the next generation of poets in our community!